With more than two decades of professional experience, Alfredo is a leader, advocate and authority on developing large-scale affordable housing. He served as manager of the Housing Division for the Los Angeles County Community Development Commission and was vice president of acquisitions for the National Community Renaissance. 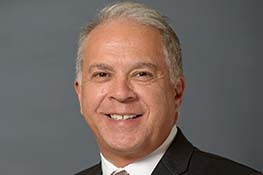 Alfredo is a board member of California Housing Consortium and former board member of SCANPH. Alfredo earned a B.A. in Economics and an M.A. in Urban Planning from UCLA. He also holds an M.B.A. from UCLA’s Anderson School of Management.